The Merlin GX-01 is our super-lightweight high-performance carbon gravel bike designed for mixed-surface adventures straight from your front door. Packed full of technical features the GX-01 has been designed from the ground up to excel on a wide variety of terrain. From fast, smooth tarmac to demanding gravel tracks and trails this bike feels equally capable and handles brilliantly regardless of what you throw at it. Key features of the Merlin GX-01 carbon gravel bike includes considerable tyre-clearance in the rear of the frame; thanks to its bridgeless seatstays and chainstays the GX-01 will easily accommodate up to a 40mm gravel-specific tyre allowing you to run lower tyre-pressures and providing you with more comfort and enhanced traction when you’re negotiating lose gravel surfaces. Up front the full-carbon GX-01 fork offers the same amount of tyre-clearance while front & rear thru-axles help to ensure that your wheels are always secure, brake rotors are perfectly aligned with the calipers every time and there is no annoying brake rub. The GX-01 thru axles also add stiffness between wheel hub and frame with a noticeable increase in steering precision from the fork. The Merlin GX-01 carbon frame and fork features internal cable routing throughout, keeping the silhouette of the bike simple and clutter-free while protecting gear cables from getting fouled up with grit and grime. We’ve specced the GX-01 with a threaded bottom bracket shell to allow you to quickly and conveniently change the bearings without the need for expensive press-fit bearing tools. Slim seatstays provide a little bit of extra compliance keeping you comfortable on rough surfaces and a large bottom bracket area creates a super-stiff pedaling platform, allowing you to transfer all your power to the rear wheel during fast road sections and super-steep, lose gravel surfaces climbs off-road. The Merlin GX-01 carbon gravel bike features Shimano’s excellent new 105 R7020 11-speed hydraulic disc brake groupset which features a new Shadow Technology rear derailleur that gives a lower profile and increased protection from crash damage as well as a great looking chainset evolved from the Ultegra R8000 version which is even stiffer and provides more power transfer than its predecessor. With a wide range of gears available you’ll be able to ride more economically regardless of the terrain, leaving your legs feeling fresher for longer. The addition of safe, easily-modulated Shimano BR-7070 flat-mount hydraulic disc brakes will have you descending with new-found confidence. A choice of finishing components lets you customise the finer details of this great handling carbon gravel bike before our Merlin workshop technicians custom build your bike to your own spec. Choose your preferred wheelset, tyre choice, stem-length, handlebar profile, the gear ratios of your cassette and chainrings options and more to tailor your dream carbon gravel bike specifically for you. This is the bike for every occasion. I sold my GT hard tail mountain bike and my Bianchi road bike to buy something that was diverse and flexible, and that would taylor well with the different cycling I did. I saw that gravel bikes were a thing so I did some research into them to see what they were all about. It seemed like for someone who cycled roads and gravel paths they were a good choice. Long gone are the days where I do jumps on my bike, but I do love a good off road circuit. I also love the speed and responsiveness you get from a road bike. This seemed like the best choice for both! Frame and forks -I wanted carbon, due to the comfort and weight benefits. 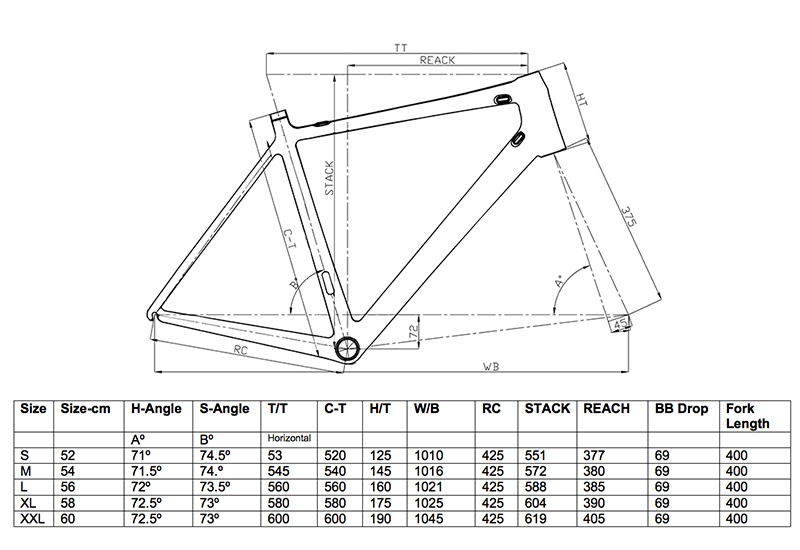 The carbon frame on this bike is heftier than my previous road bike, and as a result does weigh more. However, you want something that can take the punishment of dirt tracks without having to worry about the frame fracturing. Its responsive, flexible, sturdy and light compared to other aluminium frames. The forks offer nice comfort whilst going down gravel paths or bumpy roads. All in all Merlin have done a great job working out the geomatry offering a good mix of performance and comfort. The through axles work a treat. I get home after a muddy ride and take the wheels off to wash the bike, then put them straight back on and almost every time the disc rotors are perfectly aligned with the calipers. Theres also a mount for mudguards on the front forks, and room for some on the rear if you want to fit them on. Wheels - I went for the fulcrum DB4 and im not disappointed. They are sturdy, aero for alloy wheels , look great and are a reasonable weight. Theyve been up and down hills, holes, ditches and they still run true. Groupset - I opted for an Ultegra rear diraleur (mainly because it was the only one available ) and shifting is silky smooth and responsive. I got the 11-34 cassette, which offers an impressive gear ratio. The 34 comes in handy heading up those climbs, whilst the 11 offers great speed on the descents. I opted for the 36-52 chainset which gives a good variety of range with the rear cassette. I upgraded to the Ultegra brake rotors which work and look phenomenal. The hydraulic brakes from the 105 calipers are very good. The whole 105 groupset is impressive, offering bullet proof shifting and performance. Shimano have done a great job with this new groupset! Tyres - I opted for the Schwalbe G-one all round performance 38mm and theyre so impressive both off and on road! They roll nicely on tarmac and on gravel, offer great traction and are nice and comfortable. Definitely a good choice with this bike. Finishing kit - I mostly went with Fizik and it looks great on the bike. No regrets here! Conclusion - this bike is incredible if youre a roadie looking for versatility, or a mountain biker looking for faster sections on the simpler trails. You could use this bike for cyclocross if you wished. Its sturdy, comfortable, responsive and quick. Merlin have done a great job balancing this frame to cater for a wide range of terrain and occasions. I bought some Continental GT5000 28mm tyres as well, so when im going out on just the road I can put these on and roll faster and smoother. It really is the Swiss Army knife of bikes. Thanks Merlin!